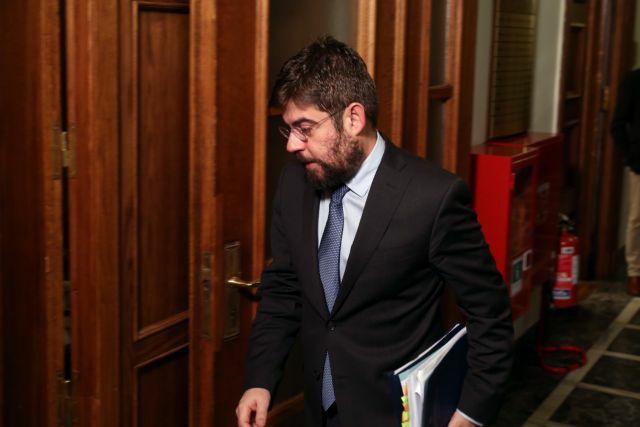 The justice minister essentially distanced himself and the government from Polakis’ attack. New Democracy has lashed out against the government with weighty charges of judicial meddling and of having set up a conspiracy to incriminate former PM Antonis Samaras and former ND and other ministers. “The Association of Judges and Prosecutors, which is not controlled by the para-judicial gang at Maximos Mansion [the PM’s office] today has publicly accused the government of involvement in an institutional aberration [regarding the separation of powers and judicial independence],” New Democacy’s press office said in a statement responding to the PM’s press office. 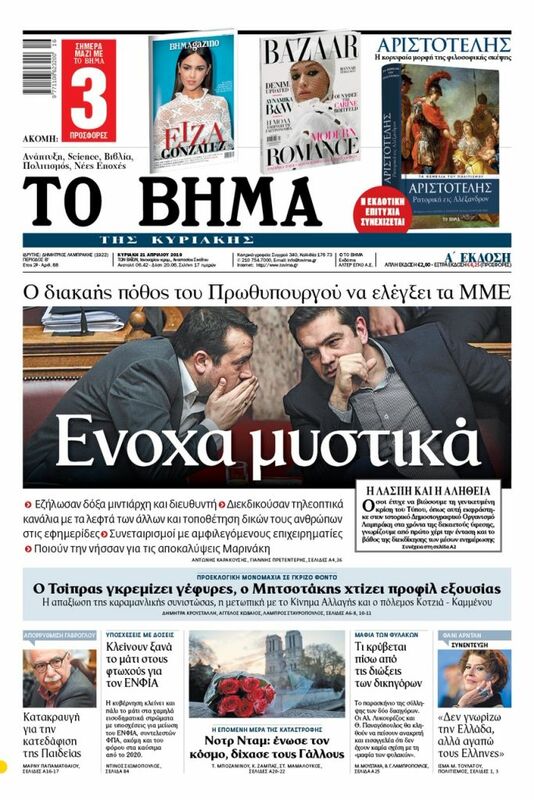 “Given the fact that there is no precedent for this after the [1974 post-junta] restoration of democracy does Mr. Tsipras have anythingt to say or has he assigned the task of governing to Mr. Polakis?” the main opposition party stated, referring to Alternate Defence Minister Pavlos Polakis facebook post in which he chastised corruption prosecutors and investigating magistrates over perceived delays in handling high-profile cases and for not remanding in custody certain suspects. “The Greek judiciary has the absolute respect of the Greek government and is treated as the sole authority entrusted with launching, advancing, and completing judicial cases and with attributing related criminal responsibility,” said Jutsice Minister Michalis Kalogirou, responding to the judges and prosecutors. “The judiciary can assess the actions required to ascertain the essential truth and it alone can evaluate which actions are necessary and which continue or do not continue to contribute effectively to its aforementioned task, always judging based on the law and the particular circumstances being probed, which it alone knows,” Kalogirou’s statement continued. “It is self-evident that developments in pending judicial cases, even those stirring intense social interest, cannot be the object of commentary by the minister of justice, transparency, due to his critical institutional role,” Kalogirou said.